These potatoes are the most requested dish of mine from my mother-in-law if we come over for dinner. It’s a must that I make them! It’s a little something I put together on a whim one night and this is how I make my roasted potatoes every time now. I usually just eyeball what I put in, but I made these potatoes last night and tried to measure the amount just for you guys! And of course you can adjust any of this to fit your taste buds! First, you want to preheat the oven to 425 degrees. Next, clean and chop your red potatoes, place them in your glass bake ware. Pour or drizzle the olive oil over the potatoes. Next sprinkle the rosemary then the season salt over the potatoes. 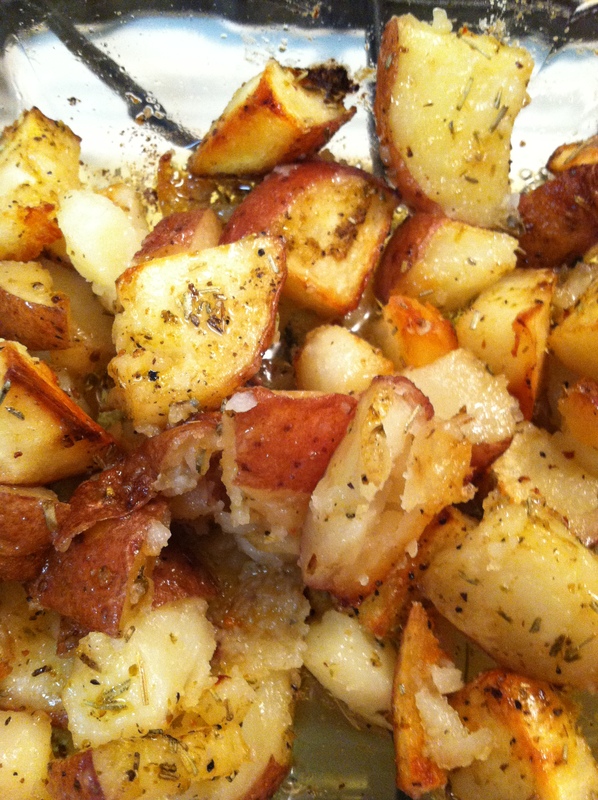 Mix together, making sure the olive oil coats the potatoes and the seasonings are evenly dispersed. Cover dish with tin foil and put in oven for 30 minutes. After 30 minutes is up, carefully take the tin foil off, and with a large spoon gently mix the potatoes again. Some of them may be stuck to the bottom. Continue baking for another 30 minutes. This is when they get crispy! Other than the taste, my husband loves the crispness! It takes a while to bake them, but the hour of baking is so worth it once you’re done! So. 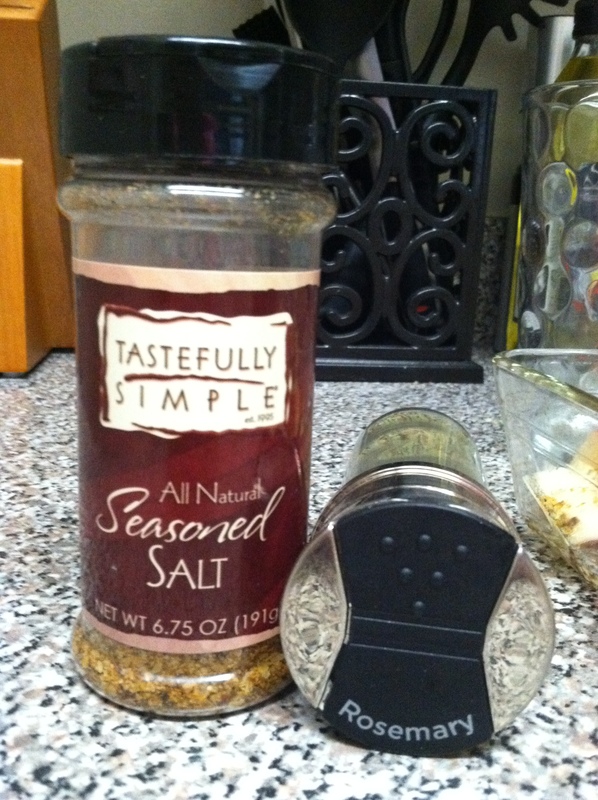 Where do you get Tastefully Simple Season Salt? You can go to my rep’s site (which is also my sister-in-law 🙂 ) and order from here. Don’t forget to check out the other products as well. Nearly everything is good there! In case the link doesn’t work, go to tastefullysimple.com and type in her ID# 0048363. You’ll be looking for Laura Donovan. If you make these potatoes, let me know what you think! looks fantastic! i’m not brave enough to cook for my mother-in-law. Thank you! And everything on your blog looks good! You look like you’d have no problem at all cooking for her 🙂 Maybe she’d like my potatoes? lol! Yummy! Simple and tastes good! Perfect for me!